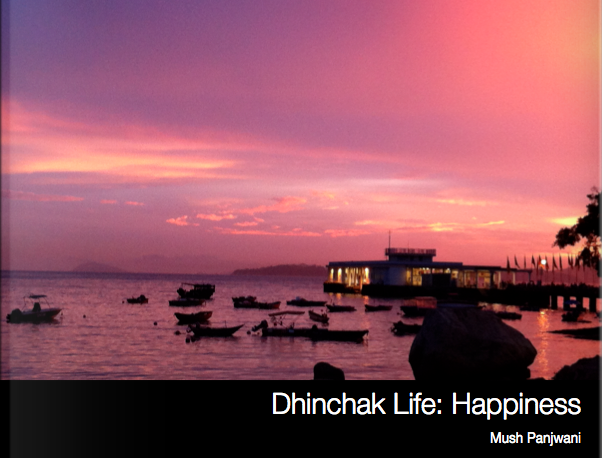 Dhinchak Life, free preview ebook! I turned 48 today, and this e-book is a small gift from me! This is part of the first section of my book, Dhinchak Life. If you already have the book, this may serve as a reminder of the principals that can make you happier, and in full color. And if you haven’t got the book yet, this may inspire you to buy a copy. The photos used in the book are from my travels during the last year. I hope they inspire you to go out and visit these beautiful places. Thanks to Sara Mush, my brilliant daughter, for creating this e-book version. Just click on the image to download, or download from here, and don’t forget to share with friends. Wishing you many Dhinchak moments!